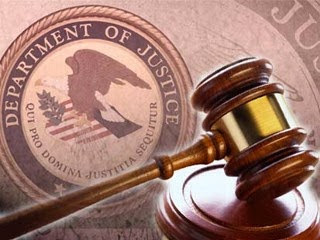 Justin Nojan Sullivan, 20, of Morganton, North Carolina, appeared in federal court in Asheville, North Carolina today and pleaded guilty to one count of attempting to commit an act of terrorism transcending national boundaries. The announcement was made by Acting Assistant Attorney General for National Security Mary B. McCord, U.S. Attorney Jill Westmoreland Rose of the Western District of North Carolina and Special Agent in Charge John A. Strong of the FBI’s Charlotte, North Carolina, Division. U.S. District Judge Martin Reidinger presided over Sullivan’s plea hearing. “Sullivan admitted in court today that he attempted to commit acts of terrorism transcending national boundaries by planning mass casualty shooting attacks on behalf of ISIL against innocent people in North Carolina and Virginia. Sullivan also admitted he had frequent and direct communications with Junaid Hussain, one of ISIL’s prominent members in Syria, who asked Sullivan to make a video of the deadly attack,” said U.S. Attorney Rose. “There is no more important work that we in the Department of Justice undertake than the fight against terrorism. It is frightening to know that the defendant in this case was able to use social media to contact and seek advice from ISIL, a murderous organization. Yet, it emboldens us to be fiercely aggressive and diligent in our efforts to combat this special kind of evil.” U.S. Attorney Rose added. “Justin Sullivan planned to kill hundreds of innocent people. He pledged his support to ISIL and took calculated steps to commit a murderous rampage to prove his allegiance to the terrorist organization. There is no higher priority for the FBI than to thwart the next terrorist attack. This case is proof of what law enforcement agencies can accomplish to disrupt terrorist activities of any kind,” said Special Agent in Charge Strong. According to information contained in plea documents, starting no later than September 2014, Sullivan watched violent ISIL attacks on the Internet, such as beheadings, and collected them on his laptop computer. Court records indicate that Sullivan openly expressed support for ISIL in his home and destroyed religious items that belonged to his parents. Beginning no later than June 7, 2015, Sullivan conspired with Junaid Hussain, a prominent ISIL member responsible for online recruitment and providing directions and inspiration for terrorist plots in Western countries, to plan mass shooting attacks in North Carolina and Virginia. Sullivan discussed those plans on social media with an undercover FBI employee (UCE), who Sullivan attempted to recruit to join in such attacks. Court documents indicate that Sullivan told the UCE via social media that it was better to remain in the United States to support ISIL than to travel. Sullivan suggested that the UCE obtain weapons and told the UCE that he was planning to buy a semi-automatic AR-15 rifle at an upcoming gun show in Hickory, North Carolina. On or about June 20, 2015, Sullivan attempted to purchase hollow point ammunition to be used with the weapon(s) he intended to purchase. On or about June 19, 2015, the silencer, which was built according to Sullivan’s instructions, was delivered to him at his home in North Carolina, where Sullivan’s mother opened the package, according to court records. Sullivan took the silencer from his mother and hid it in a crawl space under his house. When Sullivan’s parents questioned him about the silencer, Sullivan, believing that his parents would interfere with his plans to carry out an attack, offered to compensate the UCE to kill them. In filed plea documents, Sullivan admitted that he took substantial steps towards carrying out terrorist attacks in North Carolina and Virginia by: (1) recruiting the UCE; (2) obtaining a silencer from the UCE; (3) procuring the money that would have enabled him to purchase the AR-15; (4) trying to obtain a specific type of ammunition that he believed would be the most “deadly”; (5) identifying separate gun shows where he and the UCE could purchase AR-15s; and (6) obtained coupons for the gun shows he planned for himself and the UCE to attend on June 20 or 21, 2015. According to filed documents, on June 19, 2015, Sullivan was arrested at his parents’ home, where law enforcement also executed a search warrant for the silencer and other items. Law enforcement interviewed Sullivan on separate occasions following his arrest. Sullivan also provided false statements on his involvement in the murder of his neighbor, John Bailey Clark, who had been killed in December 2014. Sullivan later admitted that he had stolen the rifle from his father’s gun cabinet and hid it in the crawl space. Forensic testing shows that the .22 rifle hidden by Sullivan was used to murder Mr. Clark. The grand jury alleged that Sullivan also killed Mr. Clark, but Sullivan did not admit to this act in his plea today. However, in the plea documents filed, the United States Attorney set forth evidence supporting this allegation and specifically reserved the Government’s right to prove this additional conduct at Sullivan’s sentencing hearing. Sullivan is currently in federal custody. According to the filed plea agreement, Sullivan pleaded guilty to Count Nine of the Superseding Indictment, which charged him with attempting to commit an act of terrorism transcending national boundaries, an offense that carries a maximum penalty of life in prison. Under the plea agreement, the parties have agreed that a sentence of life in prison is an appropriate sentence. In making today’s announcement, Acting Assistant Attorney General McCord and U.S. Attorney Rose thanked District Attorney David Learner for his office’s continued assistance and coordination. Both also praised the investigative efforts of the FBI, the Burke County Sheriff’s Office and the North Carolina State Bureau of Investigation in this case. Acting Assistant Attorney General McCord and U.S. Attorney Rose also thanked the U.S. Postal Inspection Service’s Charlotte Division, the U.S. Secret Service, the North Carolina Highway Patrol, the U.S. Attorney’s Office of the Eastern District of Virginia, the FBI’s Washington Field Office and the Hickory Police Department for their assistance in this investigation.